As a parent of two fairly obsessive readers, I am familiar with this good problem. However, as a teacher of children for the last 16 years, I am well aware that the bigger problem, the fundamental question, is how we get kids interested in reading in the first place. How do you flip that light switch and get their eyes to shine at the thought of reading a book? And if they are stuck in a rut, wallowing in lowbrow literature, how do you get them to challenge themselves? And, finally, when they are not cleaning their room or making you dinner as part of their new team-spirit chore regimen, how do you keep the roiling furnace of your advanced reader’s mind plied with new and exciting books? Here are five techniques I have developed as a parent and a teacher to help kids be better readers. Our kids are going to read books we do not like, whether it is Spot Goes to Sleep or Captain Underpants and Poopy Diaper Joke ad infinitum. I remember reading in the back of the car as a kid, when, at a stoplight, my big sister grabbed the book out of my hands. “What is this? !” she yelped, reading the back blurb. “The mistress of space is enslaved? !” She rolled down her window and tossed my book out onto the sidewalk. While in hindsight, I can appreciate my sister’s political analysis, as well as her flair for the dramatic (my mom made her retrieve it), at the time it was not welcome feedback. I did not suddenly swear off the trash I was reading and vow to read only space adventures with strong female characters and, perhaps, utopian matriarchal societies. The fact is, I was happily reading and growing into an independent, successful reader, and that is more important than always reading the “right” books. When in doubt, back off. 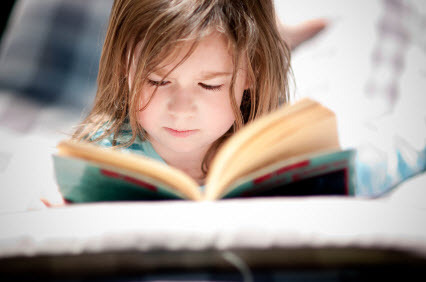 Let kids read what catches their eye and ignites their imagination as they build their relationship with reading. If it is comic books, it is okay if they start with worthless ones. After a while, you can guide them into the amazing ones, from Tintin to Asterix to the exploding field of graphic novels. Make sure to check out The Fog Mound Trilogy, crafted in a hybrid genre, half comic, half novel, a great way to help kids make the transition to pages filled with text. If they are hooked on Captain Underpants for a few months, bide your time. Eventually, ease them up to Diary of a Wimpy Kid and then, better yet, to the hilarious Wayside School books or the challenge of reading their way through the A to Z Mysteries. If you’re lucky, they’ll latch on to a huge series, like the sweet Boxcar Children, with hundreds of titles waiting in the library. There are countless stories out there about how finding the right book suddenly opened the floodgates for a beginning reader. However, you should also consider whether you have found the right library. For my own kids, it was when my wife discovered that the next town over had a beautiful downtown library and allowed anyone to get a library card, regardless of address. Something about the high windows, nice carpet and light streaming in on baskets full of great books, led to a huge leap forward for my kids as readers. Eventually, we returned to our local library, but that detour helped the kids get through a rough patch. Or, it may be just about finding the right approach to your local library. Our local library got a lot better when we discovered the online component, allowing us to order books in advance and have them sent from other branches, waiting for us when we strolled in. Because it is often difficult to find the specific book you're looking for at the library, try encouraging your kids to look for authors instead. As a general rule of thumb, I recommend kids have one favorite author per grade level and that this be an ongoing quest. If a third grader has three favorite authors, suddenly they have a lot of options when they scan those shelves. Not only will they have the three authors they are currently holding up, they have the authors they are auditioning to move to the top three slots. A great way to research wonderful authors is to look up the Newbery and Caldecott book awards (a quick Google search away). Print or scribble a list and bring it to the shelves. Fifty-plus years of archives will surely turn up some new reads. Pay special attention to the Honor Awards (the runner-ups). 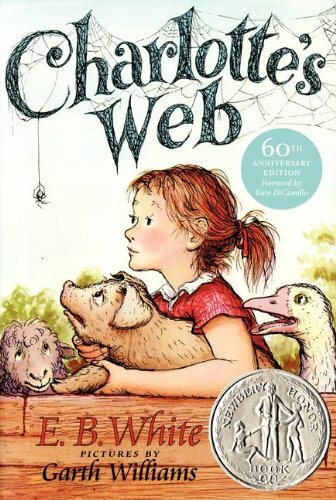 Some of my all-time favorite children’s books were awarded second best, such as Abel’s Island or Charlotte’s Web. However, when I came to class clutching a book I had just read myself and was able to talk genuinely about why I loved it, I was nearly stampeded by kids dying to read it next. I started taking home a stack of children’s books, reading them, and bringing my favorites back to the kids. Even my daughter, age 11, who increasingly sees my book recommendations as the kiss of death, will still read a book when I’ve just read it myself (rather than remembering a treasured childhood read), praised it and — here’s the best tip I may give you — left it casually lying about. My sister, yes, the book chucker, developed a wonderful tradition with her kids when they were young. It was called “Reading Boat” and involved the whole family hopping onto the bed and reading their own books together. In the classroom, I discovered that if I spent silent reading time reading my own books, the room got considerably quieter than if I patrolled the room, shushing talkers. So, if you want to get kids to read, here’s the big secret: Take a few minutes, sit down and read a book yourself. 1. 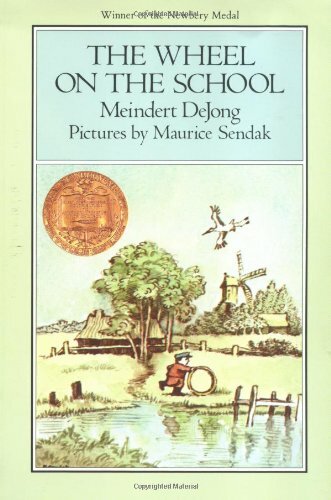 The Wheel on the School, Meindert DeJong. 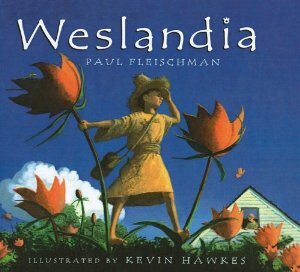 This is my all-time favorite children’s book, filled with non-traditional heroes, about the power of wondering and wandering. 2. 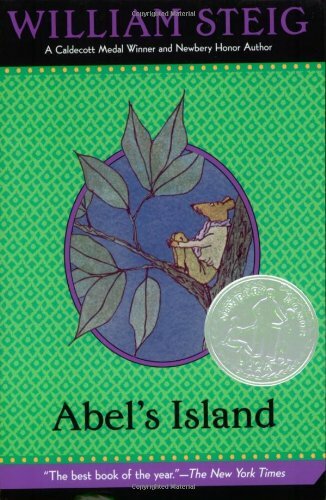 Abel’s Island, William Steig. From the author of Brave Irene and Shrek, this novel about a rich mouse learning to survive by his wits on an island is simply brilliant. 3. 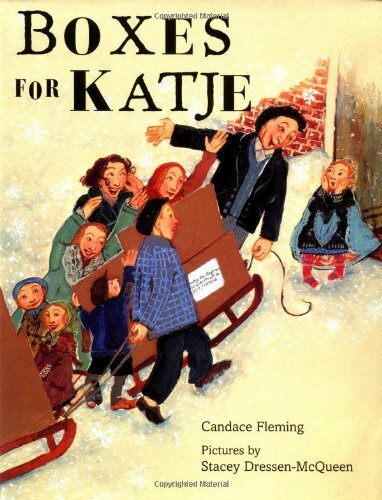 Boxes for Katje, Candace Fleming. An awesome picture book and testament to plucking a book at random off the shelves (my son, age four). Makes me cry every time. A wonderful picture book about daring to be different (and nerdy) and creating worlds in your own background. 5. 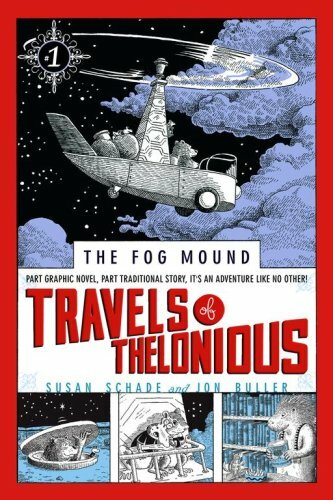 Travels of Thelonious, Susan Schade. Book one of the excellent Fog Mound trilogy, where comic book meets novel, visionary in form and content. About the author: Evan Nichols has been an elementary school teacher in the public schools for the past 16 years. He is a Teacher Consultant with the Bay Area Writing Project and the editor of Digital Paper, a literary eZine for Bay Area teachers. He lives in Oakland, California, with his wife and two children, an 11-year-old daughter and 8-year-old son. He just finished earning an MFA in Creative Writing at Mills College. Evan Nichols has been an elementary school teacher in the public schools for the past sixteen years. He is a Teacher Consultant with the Bay Area Writing Project and the editor of Digital Paper, a literary eZine for Bay Area teachers. He lives in Oakland, California with his wife and two children, an 11-year-old daughter and 8-year-old son. He holds an MFA in Creative Writing at Mills College.